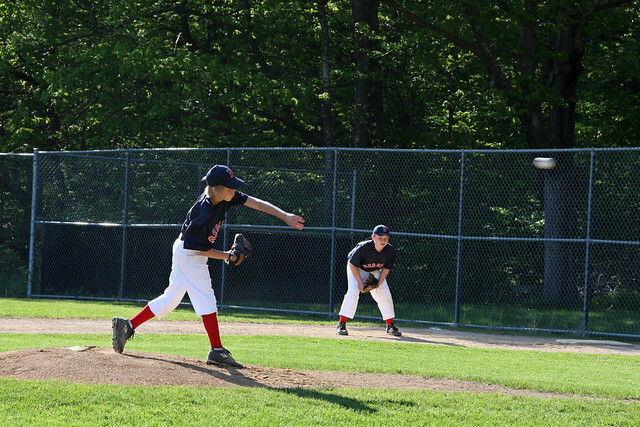 On a beautiful, sunny evening the 2012 ELL Red Sox took the field against the league favorite Diamondbacks. 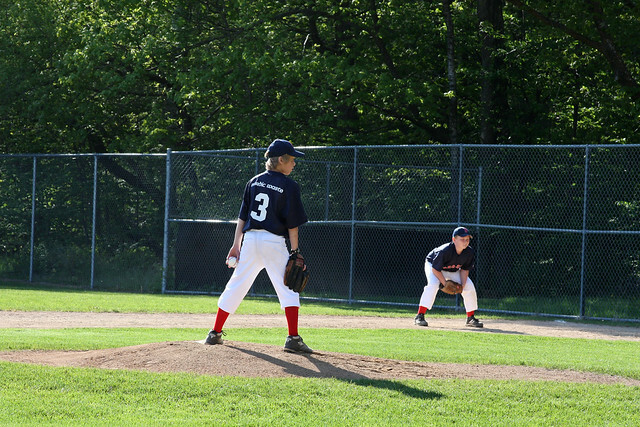 For the first time is his young baseball career, Sebastian was given the nod as starting pitcher. With butterflies in many stomachs, the Red Sox gave up 3 runs in the 1st inning with a couple of walks and some fielding errors. 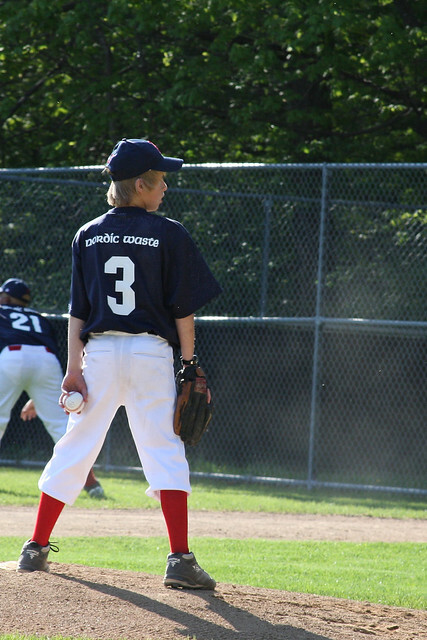 However, Sebastian relaxed and entered a zone recording 3 strikeouts to finish the inning. He pitched the next two innings allowing no runs and recording 4 more strikeouts before his pitch count reached near maximum per league rules. A solid first start. Way to go Sebastian! 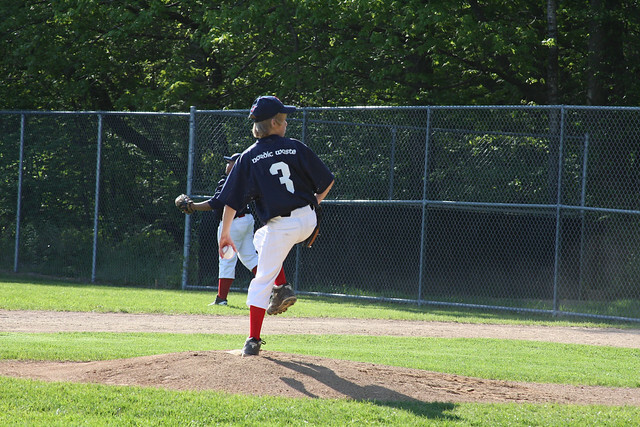 On the batting side, the Red Sox were a bit overwhelmed by the best pitcher in the league…a 12 year old that can throw over 60 mph. He breezed through our line up the first two rounds before Sebastian broke up his no hitter with a solid double to right center. In the end the Diamondbacks were a bit too much, but the Red Sox battled hard and the season is young.